As our long New York winter was drawing to its close, Diane and I found ourselves driven more and more to comfort foods – warm stews and braises – and lingering even longer than usual at table. 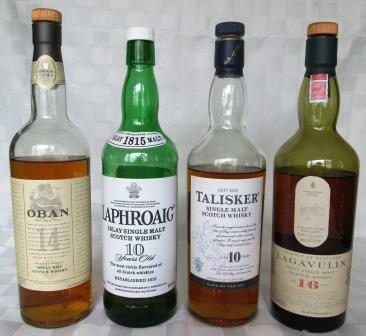 We prolonged each dinner, and added warmth to each chilly evening, with a good brandy and conversation. The latter often enough turned on what we were eating and drinking – where we’d first had it, what was the best of it, where we’d had that. 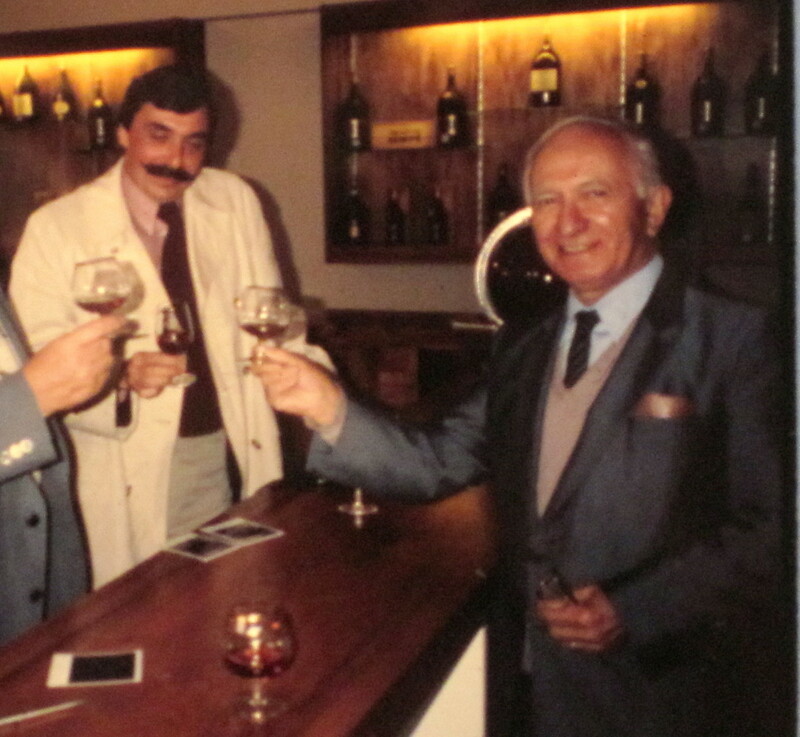 Inevitably, one evening, while sipping a lovely Sempé Armagnac, we began reminiscing about a 1981 trip we took through Armagnac country (Almost 30 years ago! How can that be?) and our meeting with the formidable Senator Sempé himself. A present-moment interlude here, before lapsing into the pleasures of memory. 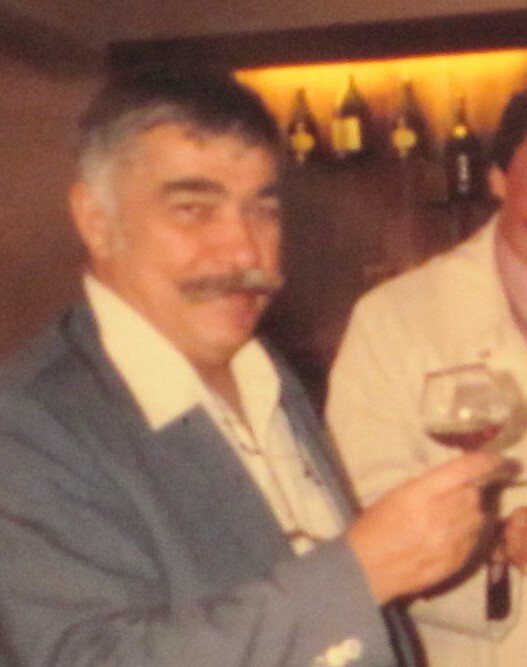 As we drank and talked that evening, we discovered that the bottle of Sempé we were almost finishing – our favorite Armagnac, the one we turn to most days – was our last. This led to diligent searching over the next few days and, ultimately, the horrid discovery that we couldn’t find it anywhere in New York City or online. Catastrophe! And inexplicable to us. 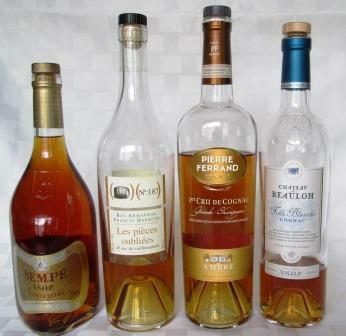 Disaster was ultimately averted by a few purchases and some comparative tasting, the upshot of which was that Armagnac de Montal VSOP tasted enough like our beloved Sempé to fill the gap. 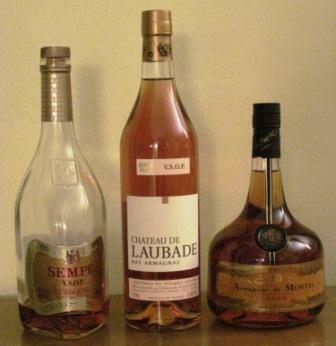 We also liked Chateau de Laubade Bas Armagnac VSOP, but it was a bit sweeter and a touch more polished – not defects by any means, but they marked it for more specialized roles than our all-purpose Sempé. Back to the post-prandial discussion, which was almost derailed by differences in our recollections of a few key events. That led to Diane’s scouring her archives to find the journal that she kept of the trip and digging out – from our thousands of aging slides – some of the photos we took then. Ah, nostalgia! Oh, how I miss my dark hair and black moustache! Not to mention my then-amazing appetite! I could hardly believe the meals we ate then, at lunch and at dinner: Nowadays I’d live for a week on one or two of them – and I don’t regard that as an improvement, whatever the nutritionists may say. Armagnac country overlaps foie gras country, which means that our days traveling therein were a gastronomic tour de force (all puns intended), with meals of foie gras cold and foie gras hot, duck in all forms, cèpes and potatoes seethed in duck fat, rich cheeses, and pastries redolent of butter, all washed down with Cahors and Madiran and other rough red country wines, and finally tamped down by a fine Armagnac. 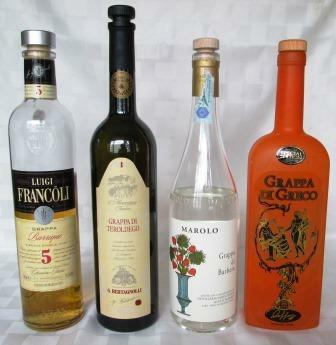 Most restaurants of any standing had a handsome selection of old Armagnacs, often spanning decades. I remember them as ethereal – the lightest spirits of air and fire – as well as effective, working like an intestinal rotorooter on those accretions of duck fat. Ah, then ‘twas bliss to be alive. Lunch at Cordeliers: menu gastronomique at 140 francs each. Salade d’écrevisses to start, about a half dozen succulent little beasts; no sauce offered and none needed. Then collops of lotte (monkfish) in sauce d’homard et épinards, the fish nicely gelatinous-chewy-tender, the sauce not too thick but just creamy enough. With these two courses we drank a bottle of Pacherenc. There followed aiguillettes de canard – not actual wings, but a magret sliced fanwise like the primary feathers of a bird’s wing. These came in a light brown sauce, unidentified but excellent. We drank a ’75 Madiran, which was quite different from the baby Madirans we’d had the night before – a wine deserving respect and even more aging. For dessert, Tom took fraises au crème fraiche and an île flottant; Diane had tarte au citron and the local flaky pastry thing whose name we’ve forgotten. We started with a salade de noix avec touts petits tranches de foie gras – Boston lettuce, escarole heart, walnut halves, walnut oil vinaigrette, and slices (not very petits) of a splendid foie gras. So much for our intentions of making a light dinner. Then we had palombes – the first of the season’s game: wood pigeons. They came with lovely browned balls of potato and cèpes sautéed in garlic and parsley. Palombes are terrific: dark, dark meat, rich and flavorful. More Madiran was required. We ended with coffee and île flottant with raspberry sauce – and Armagnac, of course – it was absolutely necessary for our survival. The next day, we were brought to the Sempé distillery, where the Senator himself awaited us. This was no trivial event: The man was a distinguished member of the French Senate, and one of the few – perhaps the only – foreign citizen to be awarded the US Congressional Medal of Honor, for his role in rescuing downed American airmen in World War II. Our guide, Gustave Ledun – the representative of the Armagnac association and a wonderful character in his own right – heaved a sigh of relief, and we all happily went on to taste some more splendid old Armagnacs from barrel and demijohn, culminating in an 1875 that was so light and spirituous that it all but evaporated on the tongue. A glorious visit, a grand brandy, a priceless memory. No wonder I love Armagnac.